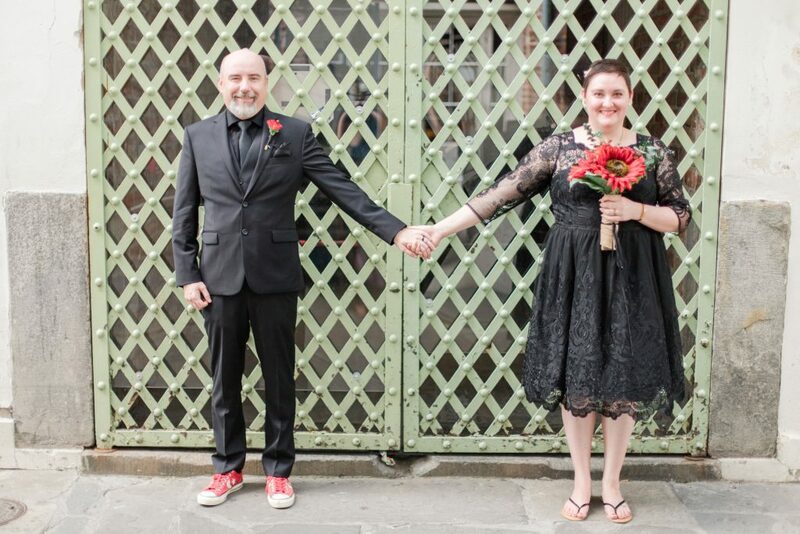 There are so many wonderful places to elope in New Orleans! Scroll down to see some of our favorites. City Park is one of the oldest urban parks in the country. This 1300-acre park is filled with ancient oaks and moss-canopies, making for a romantic spot to the tie the knot. From modern art to the botanical rose garden, City Park offers backdrops of all sorts for your special occasion. If you plan to use this historic park for your ceremony, there is a $50 park fee to have a photographer present at your event. Home of The Tree of Life, and nuzzled up to the Mississippi River, Audubon Park is a favorite destination spot of NOLA locals. Spattered with a large array of things to do – from the zoo to the golf course – Audubon Park offers a backdrop for any time of occasion. 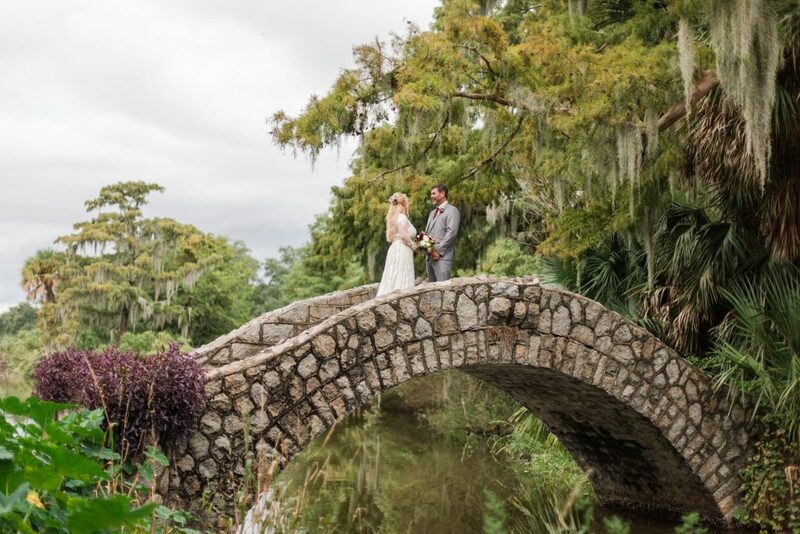 From hidden bridges to arching moss-covered ancient oaks, you’re bound to find something that appeals to you for your special day. For ceremonies under 25 people, Audubon doesn’t require you secure a permit. For anything above, you must coordinate a permit at the cost of $75. There is no permit required for photography. 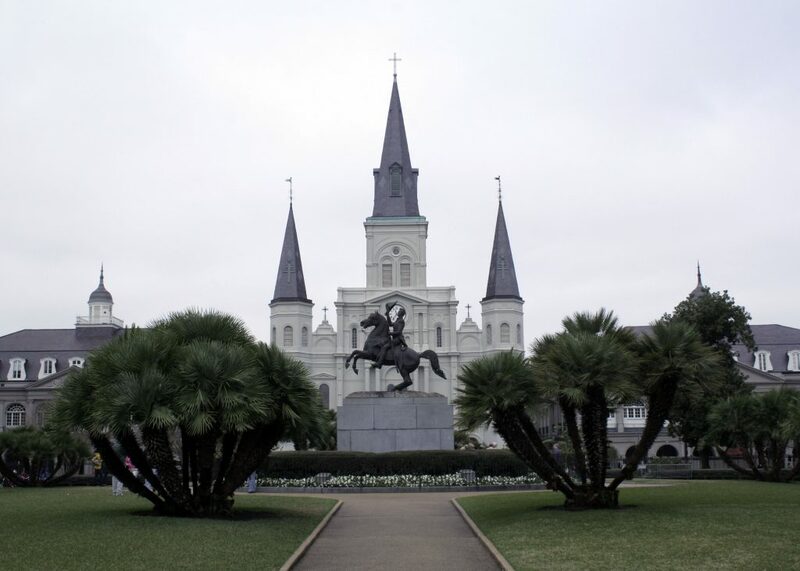 Originally known in the 18th century as “place d’Armes,” and later renamed in honor of the Battle of New Orleans hero Andrew Jackson, this square is one of the hot spot destinations for tourists in the French Quarter. This historical and epic backdrop provides for a true New Orleans ceremony. Finding privacy in this location is tricky, but if you’re in for a raucous applause at “I do” this location is for you. Please note, there are reservation fees involved through Jackson Square if you intend to have your ceremony within the square itself. Pirate Alley is a historical niche folded into the French Quarter. This paved little charm is the culprit of history, lore and rumor, but also makes for a great backdrop for your small elopement. 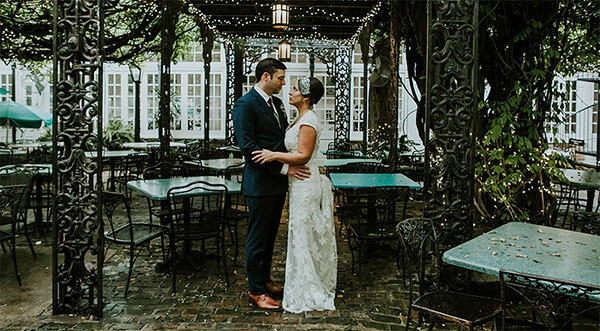 If you’re looking to stay in the French Quarter for your elopement, but can’t afford the high fees of Jackson Square, Pirate Alley is a great alternative locale. We know you love the history of the French Quarter so why not do your elopement in a spot that visually represents that? Built in 1832, Court of Two Sisters was originally constructed as the home of the Bank of New Orleans. Now a courtyard restaurant, the greenery and French history still prevails in the decor and setting. This is a tricky one to get into, but we would love to help you lock down a date for this lovely spot! 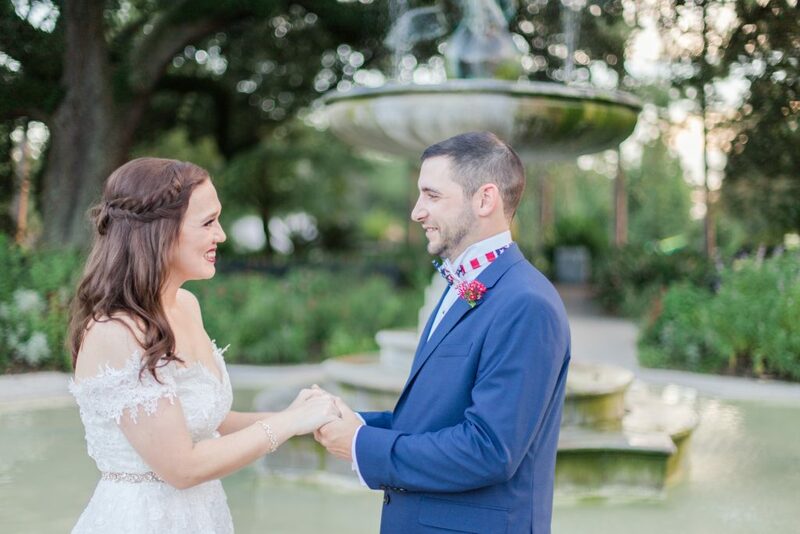 If getting married in a public NOLA park isn’t your jam, but you’re still on a budget, we recommend Press Street Gardens. This urban garden project makes for a darling setting for your private ceremony, without breaking the bank. 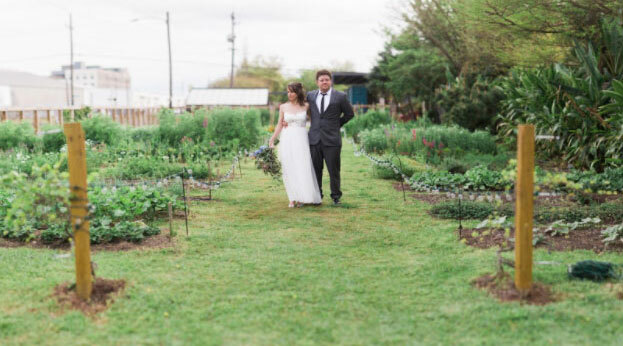 Reservations are necessary, but we’d love advise you on how to help you lock this in for your elopement venue. EIFFEL SOCIETY is a contemporary special events venue & lounge overlooking St. Charles Avenue in New Orleans’ Lower Garden District. The building’s unique history began with its construction from 11,062 pieces of a restaurant that was originally housed in the Eiffel Tower in Paris. The EIFFEL team, along with an array of international artists, has transformed and curated the space for you, the client, to breathe life into its structure with your memorable vows. 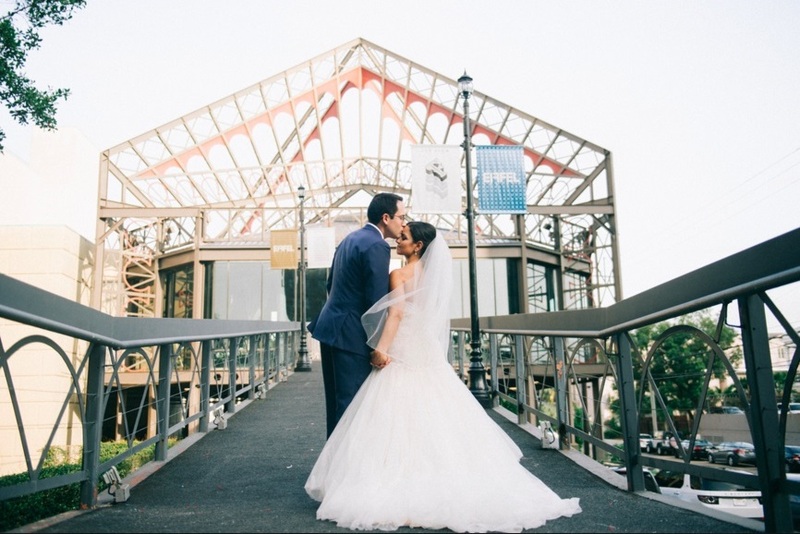 EIFFEL is a picturesque indoor option to exchange your “I do’s”. Talk to the Simply Eloped team about how to book this spot for your elopement! There are restrictions on times one is able to book.